We start with a battle on a planet where rebels are hiding from the First Order. A pilot tries to fight his way out and orders his droid BB-8 to go without him and escape when all seems lost. Stormtroopers are ordered to kill all civilians but one chooses not to and this becomes the crossroads in his life. I was a small excitable five year old when Star Wars: A New Hope came out and I remember queuing up down a dirty side ally (still there but now a so-called pub run by a ruthless chain) with my Dad for what seemed like hours outside the cinema to go and see it. Once inside with my drink and sweets I stared up at the screen in rapturous awe as the rolling script and title theme tune burst on the screen in front of us. I had never been so excited in all my short five years on this mad spinning rock of ours. And then it happened. I fell asleep halfway through the film and I was so very upset that I think I cried. My Dad said it was my own fault and half-heartedly berated me but eventually took me back to see it again and this time I stayed awake through the whole thing. This was the start of a love affair; not just for Star Wars, but for the whole magic of storytelling. I was hooked! Cue thirty-eight years later and to the midnight showing of Star Wars: The Force Awakens. I was that little five year old boy again and this time I would not fall asleep through it. From the opening scenes I was immediately drawn into the film, an easy thing being as it was three dimensional. I even tried grabbing the tie-fighters in the beginning like a right mumpty. There were lots of nods and in-joke’s to the original film that mostly fans would get but this would not spoil it for newcomers to the Star Wars franchise although I would say if you have not seen any of them at all it is best to start from the beginning. Actually, it is unnecessary to see the three prequels unless you want to. Just stick with A New Hope, the Empire Strikes Back and Return of the Jedi and then watch The Force Awakens. They all knit together seamlessly. I have a few minor quips and one huge one but I think it best not to tell you them and for you to judge for yourself although I will say I was disappointed in one of the characters who was too weak in characterisation for me, behaving like a spoilt child instead of the character meant to be played but maybe they will develop in the next instalment due in two years time? And one other slightly annoying thing not directly to do with the film as such. At the beginning people started to clap as the film started. Some of us shuffled uncomfortably in our seats. Please don’t do it. It is embarrassing and the actors on the screen cannot hear you. It’s just not the British way. 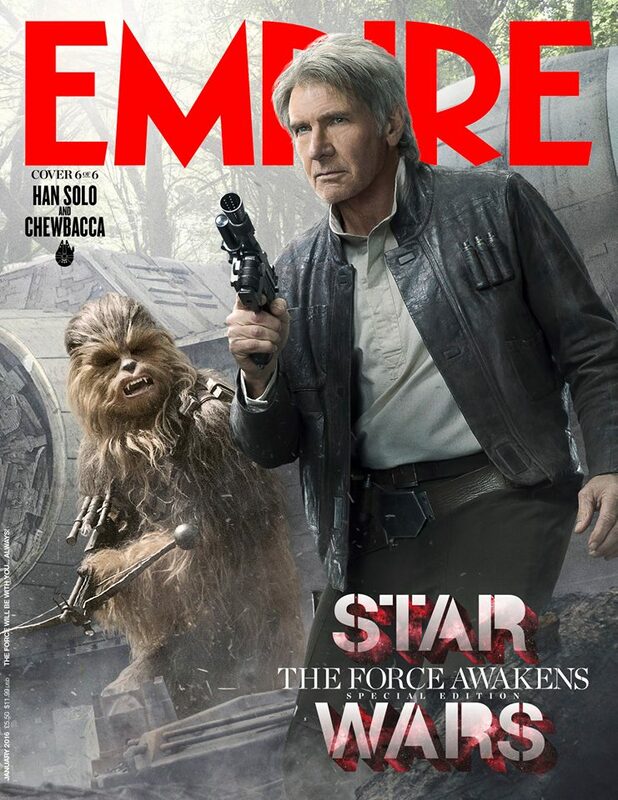 Seeing Harrison Ford return as Han Solo along with Chewbacca played by Peter Mayhew was brilliant. In fact all the old cast returned but you knew some of them would be replaced by the new cast soon enough. Daisy Ridley and John Boyega will go far and this film will ensure their futures for many years to come but I suspect Ridley will become something of a huge star in her own right like Emma Watson has after the Harry Potter series. All in all it was a fantastic film that blew me away and is essentially a homage to the franchise and a fresh reboot for a new saga and a new age; so much so that I will be going again with whoever will join me, probably my little nephews who I am tempted to drag along but know will love it. 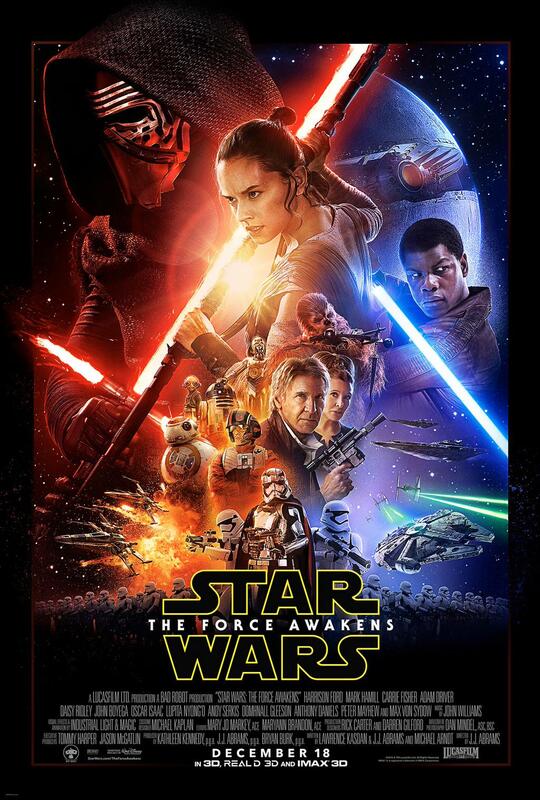 JJ Abrams, thank you and all involved for making me believe in the power of storytelling on screen once again. You made the five year old in me extremely happy indeed. I walked home at 0330 this morning and wrote this an hour later a happy bunny indeed.